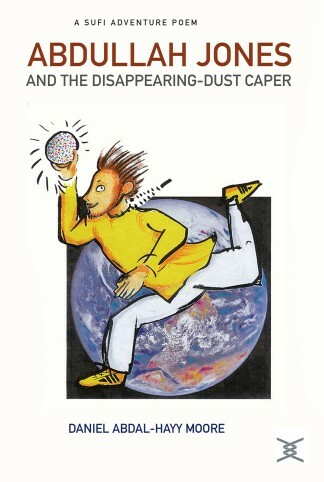 This high adventure, in loosely metered heroic couplets, follows Abdallah Jones on his quest to capture the ball of disappearing-dust from the mad Sorcerer and stop the destruction of the world. 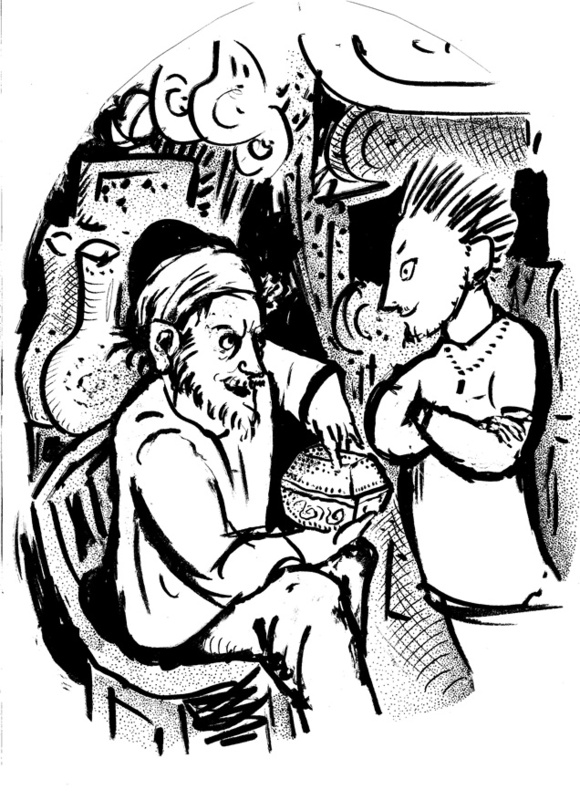 He has been given the task by his Sufi shaykh, which takes him to the Sorcerer’s castle, where he meets Marbug the elf, Neptune, the King of the Jinn, and a collection of sweet and evilly dangerous characters along the way with more cliff-hangers and near-deaths than anyone but Abdallah should have to endure – and finally to Madina, the city of the Prophet Muhammad, peace and blessings of God be upon him, his shaykh and people from the ‘Umma of Islam from all over the world, and a marvelous solution to the whole caper. Black and white illustrations throughout by the author illuminate the text. preparing to make all the people in the world disappear! as the dust rose around him, trying to get clues. the whereabouts of the Sorcerer’s castle. or some such other unpleasant surprise. to him, here among the dusty bric-a-brac. not a cent did he save behind. “Yes!” said Abdallah with absolute confidence. the box to his room. of the curtains, and quickly turn the rags inside-out. the castle for a little while. with the delivery, to make it all look official. for the jitters and set off. and he found himself outside heading for a cliff! weeks later dead, and wet, and stiff?